Dirty Heads represents a lifestyle, both musically and emotionally. It's a lifestyle that is felt and adopted by fans of Reggae, Ska and Hip Hop. It's about good times, summer, fun with your friends and generally the rally cry of youth, which is all about postponing the inevitable responsibilities of adulthood for one more party. 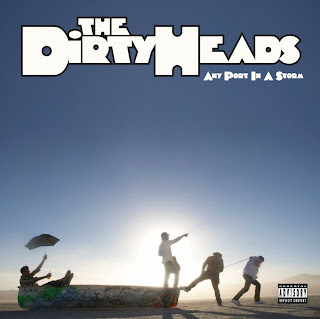 Dirty Head pulls from a wide range of influences including vintage Reggae, Underground Hip Hop, Skate Punk lyrics, and weaves them together in a sublime seamlessly way to create a sound that is both familiar, yet unique unto themselves. Four Huntington Beach dudes with talent, harmonies and great songs who are beyond trends though cool in their casual ways yet ageless in their wisdom which belies their youth. MEET THE DIRTY HEADS IN PERSON at a LOCAL RECORD STORE NEAR YOU!! Buy their new CD "Any Port In A Storm" and check 'em out. You won't be dissappointed. **Nominated in the BEST HIP HOP category for the OC MUSIC AWARDS 2009!